Coconino County Elections sign in front of the Tuba City Public Library in Arizona. 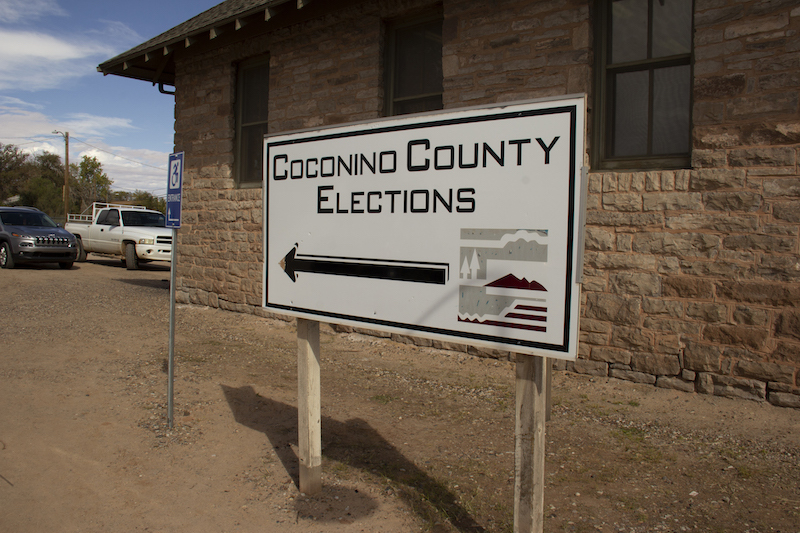 At least 30 voters showed up at the wrong poll site on Election Day in Coconino County, Arizona. Many said they hadn't been notified that their polling location had been changed. Five polling sites had been relocated due to non-compliance with the Americans with Disabilities Act, and 46 need to be brought up to compliance ahead of the 2020 elections — or relocated. 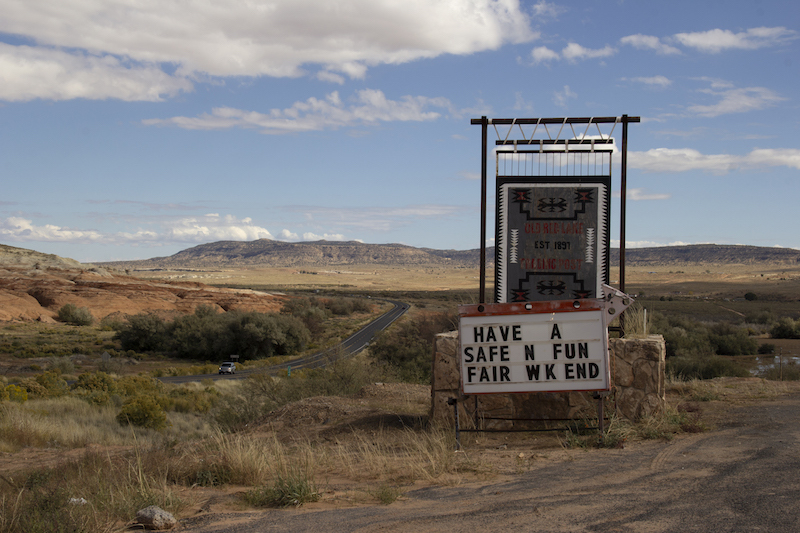 Thirteen are on tribal lands, where finding ADA-compliant substitute sites is complicated. Meanwhile, no one knows yet who is going to pay for the upgrades. 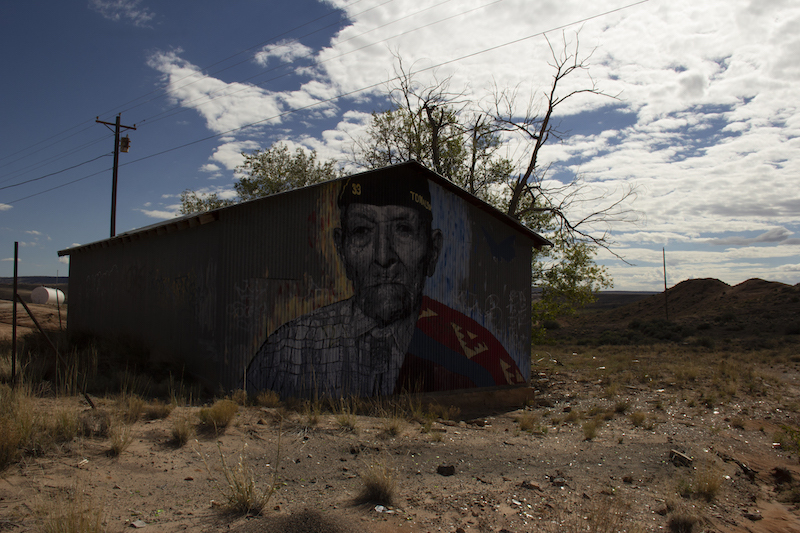 A mural of a Navajo veteran on an abandoned building in Tonalea, Arizona. Red Lake Trading Post in Tonalea, Arizona. This article was reported in collaboration with The Investigative Fund at The Nation Institute, now known as Type Investigations. Emery Cowan and Adrienne St. Clair contributed reporting. 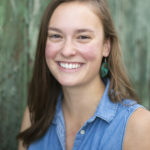 Anna V. Smith is an assistant editor at High Country News, covering Indigenous affairs in the West.